Phnom Penh, 11 February 2016, Topic “A good choice to end violence starts from YOU”. 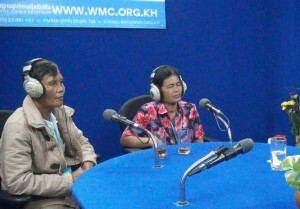 From left to right, guest speakers: Mr. Khem Thon, husband and Ms. Dean Chan, wife. Both are from Kratie province.